As we all know, your home is where the heart is. We here at Vancouver Siding want to enhance the beauty and value of your home by providing top-notch siding and exterior home services. As the first Elite Preferred James Hardie contractor based in Vancouver (WCB # 069483), we are committed to delivering the best attitude, products and customer service to your doorstep. We constantly strive to be one of the best companies in the industry, so you can count on us to ensure the exterior transformation of your home is an informative experience with results that meet and exceed expectations. You can find more details about our company and our team here. With over 500 meetings with clients each year, we’ve seen and done it all when it comes to siding projects and understand the importance of listening to customers. Our team is here to provide guidance throughout the entire process and will gladly answer any questions you may have along the way. Below you’ll find the most frequent questions we receive from clients, along with important considerations to make when it comes to choosing the right siding for your house, condominium or townhome. We hope you will find this information helpful and look forward to working with you on your next housing project! When do I need to do a siding replacement? Environmental elements have caused damage in certain areas and you need to have it fixed before painting the whole house. In most cases, it’s 20-35 years if no rainscreen was installed. You want to update the look of your property with a different design or make it look more modern. It’s an old cedar siding (wood siding) installed over 30 years ago which has decayed around the bottom, on the chimney, on one of the corners of the building, or perhaps at the northern side of the building. When we deal with old cedar siding, in most cases we find it’s in good condition on over 75% of the building, with only a few areas that need to be replaced. Homeowners can decide between replacing a few boards or pieces of siding before painting the whole house, or they can have the entire siding replaced. We can provide a quote for the replacement of decayed parts plus two layers of exterior paint for the whole house. Note that prices for painting vary from $2-5 per sq ft (this includes labour and material costs). We can renovate with new fiber cement siding which looks similar to cedar but costs less (starting at $9 per sq ft), so one of the decisive factors is the cost of the repair. More about siding repairs can be found here. It’s a vinyl siding which has lost its original colour or is warped in certain areas due to the BBQ or sun. It could have also been installed 15-20 years ago, back when vinyl siding manufacturers didn’t have the technology we have today to protect the colour from fading. When your vinyl siding looks worn out you can go ahead and wash it, but be careful not to damage it as old vinyl is more fragile. It’s time for a new design, a cleaner look or perhaps a different colour palette. There are a ton of new products and detailing options available nowadays to style your home and make it stand out. We will be glad to provide you with catalogs and samples, give advice on design based on the property’s shape or work with your designer or architect when it comes to picking the right material combination to fit your specific needs. What are the different design options for siding? Siding Vancouver is pleased to offer a variety of designs to fit your style and budget. Many surveys show that the curb appeal of your home is a top factor when it comes to homeowner satisfaction, in addition to being an effective way to increase the value of your property, should you decide to sell. The most widely-used option for fiber cement and cedar is bevel plank. This is a classic look that is not going out of fashion anytime soon. Each board overlaps the board below it, so this style goes only in horizontal strips layout. There are two main things to consider when working on the design of bevel siding: the colour or stain (for cedar siding, by the way, stain can be coloured as well) and reveal (also called exposure) of the board, which is the part of the board face exposed. The most popular ones are 6 and 8 in wide boards which translates into 5 or 7 in being exposed. You can normally go from 4 to 10 in width boards, but keep in mind that the narrower board you choose, the more time it takes to install each sq ft, so the price goes up. The Tongue and Groove style is the best choice if you want that new, modern look. Many of the contemporary homes you see in magazines have a 3 ½’’ clear TNG (tongue and groove) siding installed. Not surprisingly, it’s one of the most expensive design options, and the price will vary depending on the quality and type of material that you choose. Interesting design solutions can be found with Longboard aluminum siding and AL13 as you can choose wood grain or from a variety of solid color options that they have. For this design, architects and designers prefer to use narrow boards like 3 or 4 in. This is a unique design that can be used to give your home a natural and contemporary look and feel. 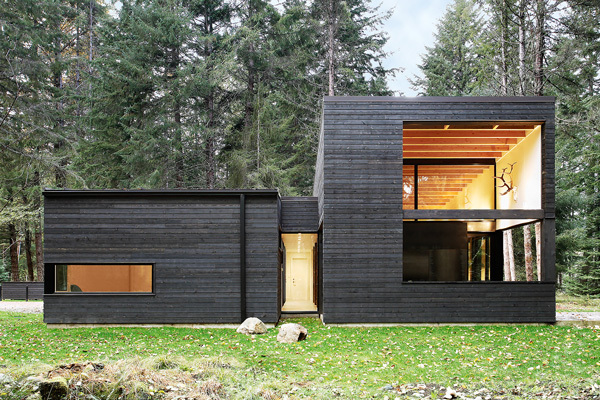 Some people use black or “burned” colour in combination with large windows and no soffits/overhang. The difference between tongue and groove and a channel is it’s easier to create the visual space between boards when you choose the right cut. As with bevel siding, it’s installed horizontally with each board overlapping the one below it to protect water from going under the siding. Board and batten – looks like flat boards mixed with narrow vertical strips. Strips usually go every foot and cover the joints between panels. Easy trim reveal – when an aluminum strip goes between the panels. You will notice this style on commercial and office building, but it can be done on a residential home as well to give it a very modern, clean look. Open joint cladding – when there is a gap between panels. This one is the most time-consuming type of installation because you need to be extremely careful with each cut and there is no space for error as it will not be covered by another panel or aluminum trim. That being said, this type of design is the most expensive. Another common style of siding design is shingle siding. It often goes on gables and featured walls, like on the image below. It can come in panels and separate piece shingles, so the cost of installation is high (~$15 per sq ft for renovations) because every single piece needs to be installed separately. 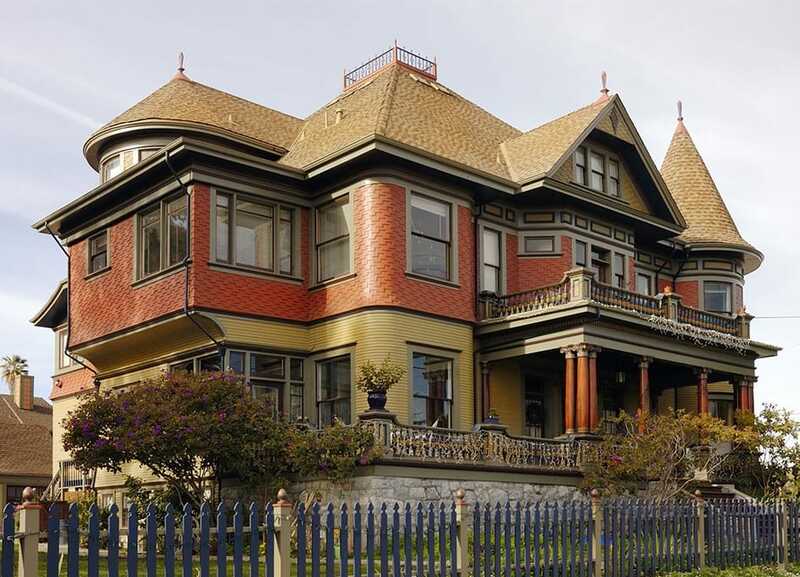 You can have shingles in vinyl, fiber cement or cedar. Stucco siding is a cement plaster wall covering. The same function as plank or panel siding, but the design is quite different. 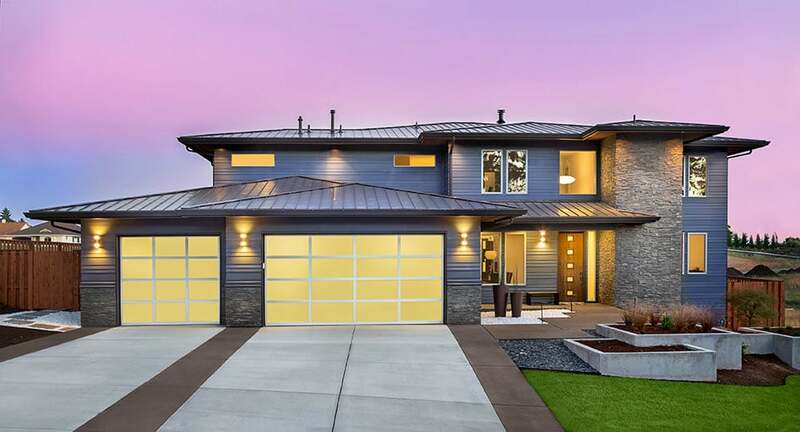 You can have acrylic smooth stucco (which is the most popular) or dash finish which goes in dark grey for many contemporary homes in Metro Vancouver and Canada, in combination with black trims and light clear grade cedar soffits. Stucco pricing varies based on style, but it’s usually over 25% more expensive than fiber cement siding and its warranty is usually valid for only 5 years. If you go with stone (faux stone), it is over 75% more expensive than new siding. The key to choosing the right design is to take into consideration your home’s shape and neighborhood. We don’t want you to feel overwhelmed with all the different designs to choose from, so don’t hesitate to ask for guidance on options that fit your style and budget. What siding colours can I choose? An important part of the design includes choosing the colour. Vinyl siding comes in a variety of pre-designed colours, and manufacturers usually separate colours by regular (brighter) and premium (darker) colours. Remember that most of vinyl siding manufacturers provide a 20-25 year warranty that includes protection of the siding colour from fading. Just bear in mind that with vinyl siding, you can’t paint over it with a second coating. Fiber cement (also called James Hardie) comes in a variety of colours (listed here) with a 30-year warranty. You can choose a custom colour, but it will affect the price or delivery timing. Same goes for aluminum and metal siding. Cedar siding is a natural material, so in many cases, it comes stained and you can keep its natural color. However, as an option, you can install regular cedar siding and hire a painting company to paint it for you in any colour you desire. Make sure to use two layers of premium exterior paint and bear in mind you will need to repaint the new siding every 5-10 years. 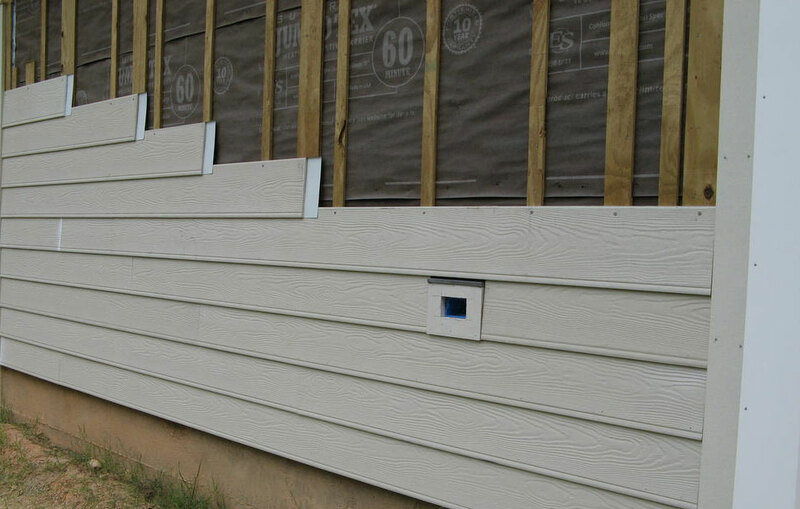 The cost of doing a siding installation involves a number of different elements. Considering the various processes involved is helpful when it comes to understanding the cost breakdown. For example, a renovation entails demolishing old material and construction waste removal. Then we have the inspection of the sheathing (plywood), fixing rotten or decayed parts, and the installation of a rain-screen system. And last but not least there’s the installation of siding and trims, soffits, fascia and other decorative elements where applicable. If you do renovation using vinyl siding, it will cost you around $6-7 per sq ft, so for a house that is 2,200 sq ft (average size of homes in East Vancouver and Burnaby), it will cost about $13,200 – $15,400. 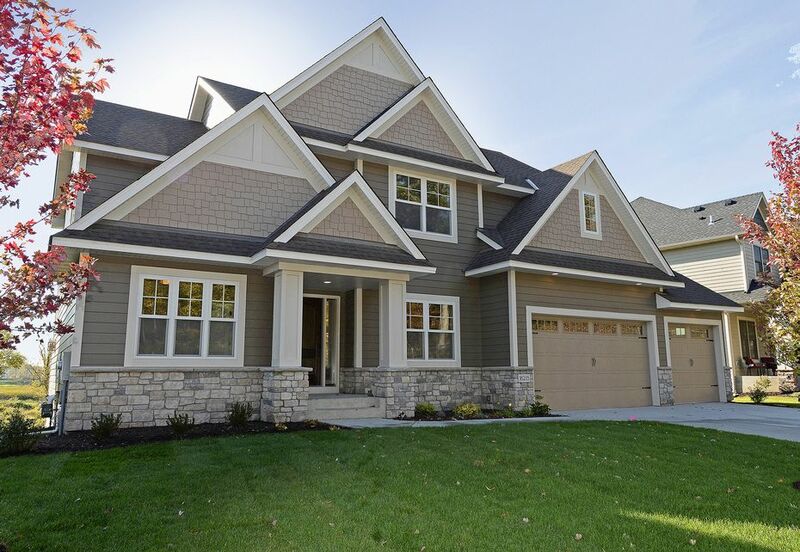 For James Hardie, it will be $9-10 per sq ft, so for the same house it could range from $19,800 – $22,000 and $11-13 per sq ft for cedar, which will cost $24,200 – $28,600. Note for cedar there is an additional cost for painting. Remember that the cost of doing a siding installation will depend on the design and other exterior elements such as trims and soffits. So when comparing price quotes, be sure to check what is included in it and what material the company will use. Even for fiber cement or cedar, some companies choose lower quality options to save money, so you definitely want to double check to make sure they’re using only high-quality materials for the same scope of work. More information about pricing you can find on this page. What is the process of doing a siding installation and how long does it take? From end-to-end, the process of doing a siding renovation takes between 3 to 6 weeks depending on the complexity of the project, material availability, performance of the crew and time of the year. Note that during the winter season it takes longer as the day is shorter. Once design, colour, and details are specified and approved by you, the project officially kicks off with removing the old siding. The removal part typically takes 2-7 business days in order to do a thorough job of ensuring there is no damage to the sheathing and structure of the home. Next comes sheathing inspection and repair, if any. Note: it’s s not possible to measure the exact amount of rotten areas that will need to be replaced before you take off the old siding, which is why sheathing repair isn’t usually included in the quote. What should be included is an hourly rate that the company has for repairs. Based on our experience, most homes don’t need any repairs, however, if it does it shouldn’t be more than $1 to $2 per sq ft including materials and labour. After the sheathing is inspected, contractors install building paper and strapping or mesh (depending on the design). Those two elements are part of the rain-screen system which is required to be installed by BC Building Code (2018) and prolong the lifespan of siding products for at least 5-10 years. 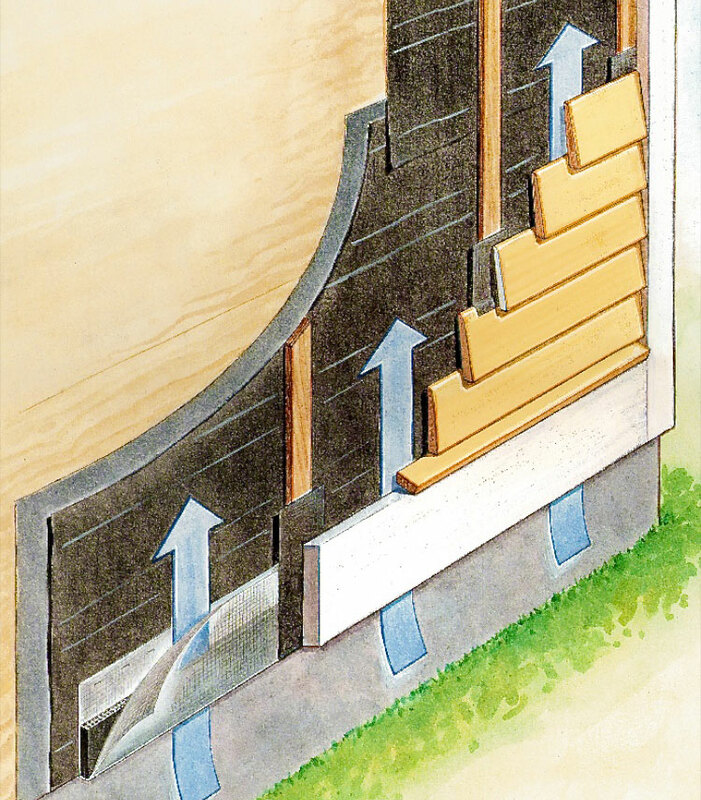 Strapping is installed horizontally for vertical siding and vertically for horizontal siding to allow air flow. After the rain-screen is installed (typically takes 1-3 business days), your home is safe and protected from water, so you don’t need to worry if the renovation happens during the rainy season. The siding installation itself takes 7-10 business days for a typical home. On top of that, you need to allow some time for detailing (ex) corners and trims. This entails caulking the siding after it’s been installed, the installation of flashing that goes between building paper and siding and pushes water out, the installation of a bug screen to protect from insects, some touch up on the nail heads where necessary and then the installation of vents. 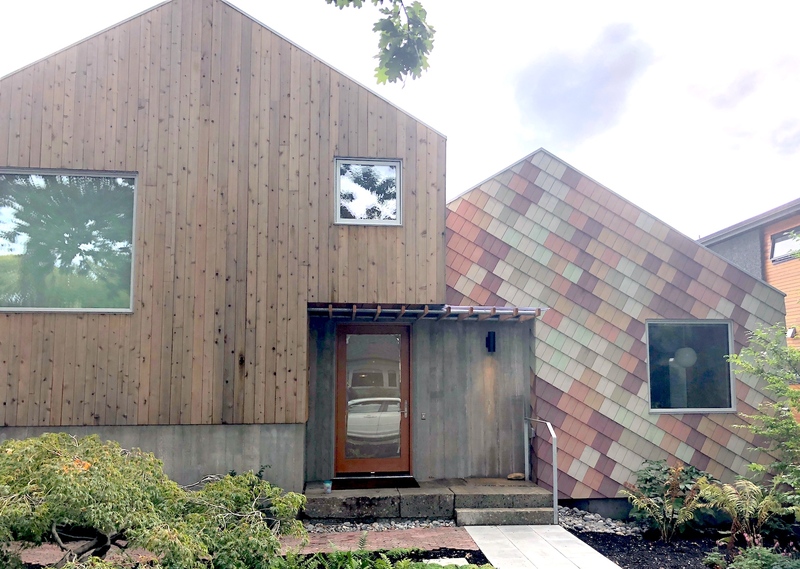 As you can see, there are many elements involved, so don’t hesitate to ask Siding Vancouver project manager any questions you may have during the renovation. Do I need to install window trims with siding? Window trim is a narrow board (usually white) that goes around the window. It could be a painted cedar board or fiber cement board. Trims became popular in the 90’s you will often see it on a newer building. It can totally transform the way your house looks, and most people install it to make their exteriors look newer or to emphasize the details/colour of the siding. Be sure to double check with our crew as some windows (like retrofit) already have trims in it and/or the installation of trims might not be possible. Do I need to replace soffits at the same time as siding? No, you don’t need to. It depends on what material you have on your current soffit and what shape it’s in. A soffit is the area of the exterior under the roof. Most popular options for soffit are perforated white or black vinyl, aluminum or cedar. Cedar is about 3x more expensive than vinyl, but if you choose clear grade (no knots), 3 ½ inch exposure cedar siding in combination with quality backlight, it adds a unique touch to your design of exteriors and looks amazing. They are the boards that go on top of the gable ends or to visually separate levels of the home. The most popular ones are 8’’ or 10’’ wide boards in white, made of cedar or fiber cement. It emphasizes the shape of the building and can make a home appear bigger and more sophisticated. The cost of installing the fascia is usually $8-10 per linear ft.
What are the pros and cons of vinyl, cedar and fiber cement? Please review our pages about each of those materials to get more insights on this. Do I need to remove windows to do siding? No, there’s no need to remove windows, but if you decide to replace windows at the same time, we can provide you with supply and installation costs for windows as well. The average price of a window in our city is close to $400, but of course, it depends on the size and type of the window. The installation is an additional $125. As soon as you are ready! Most families will take 2-3 weeks to think about the style, material to choose and options to add. Feel free to take as much time as you need, as this is a considerable investment. We’ll do our best to make this as easy and straightforward as possible. During busy season (April to October), the lead time for an installation can take anywhere from to 1-2 weeks, depending on whether all materials are available in stock. 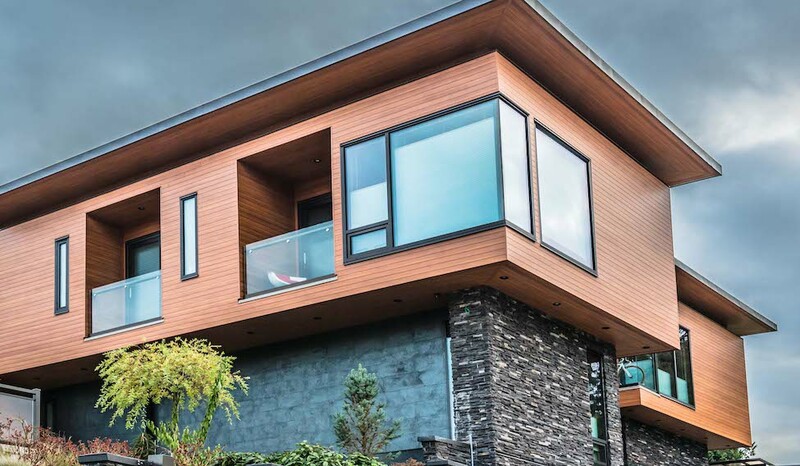 Vancouver Siding is a leading local provider of residential siding, installations and replacement services based in Vancouver, BC. We are one of the largest companies (please check our reviews below) in the residential siding installation market and proudly serve all areas and cities in Greater Vancouver and the Lower Mainland including Tsawwassen, West Vancouver, Lions Bay, White Rock, Port Coquitlam, Vancouver, Burnaby, Richmond, Coquitlam, North Vancouver and New Westminster, Surrey, Langley, Maple Ridge, Port Moody, Pitt Meadows and Delta. A complete list of locations you can find here. What is the most popular siding material in Vancouver at the moment? Between 2010 – 2017 we’ve seen the market transition from vinyl and cedar siding to fiber cement. As of October of 2018, the most popular item is horizontal Hardie plank siding with 7” reveal and Colour Plus technology. Over 55% of all siding installed today in Vancouver and the Lower Mainland is James Hardie plank. Why should I choose Siding Vancouver? Our crews are well trained, and we offer a 5 years workmanship warranty on all siding that we install. We’re here for you, so give us a call or send us an email. We will be glad to help you with any advice, help you understand the different options available on the market or inspect your current siding free of charge. 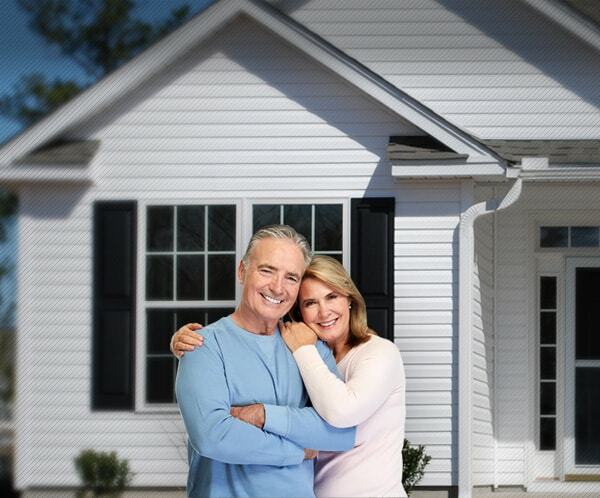 Siding is our forte and we’ll be able to find a solution that works best for you.